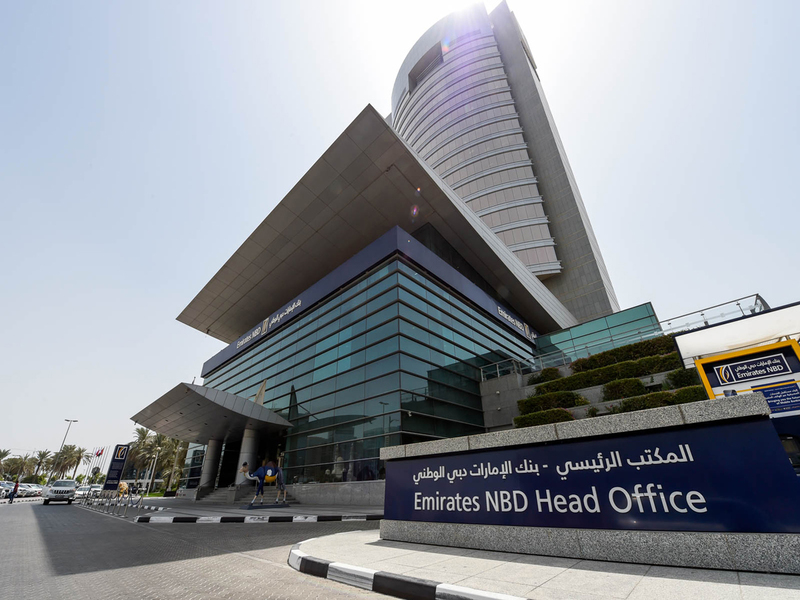 Dubai: Emirates NBD said it expects its international operations to be a “significant driver” of growth in the coming years amid an over-crowded banking sector in the UAE. Having revised its deal to acquire Turkey’s Denizbank earlier this month, Emirates NBD said it is hoping to be the leading bank in the Middle East, North Africa, and Turkey region, and the latest acquisition will help it achieve just that. “There [is a] large number of banks operating within the UAE banking sector, and we believe that consolidation, particularly among some of the smaller banks, is likely,” a spokesperson told Gulf News via email. The comments come as speculations about mergers and acquisitions in the industry heat up, with news that Dubai Islamic Bank may take over Noor Bank, while First Abu Dhabi Bank may merge with Abu Dhabi Islamic Bank. All four banks involved in the speculations have either refuted them or declined to comment, but share prices of the listed banks among those have been on the rise, fuelled by such rumours. For Emirates NBD, which is currently the UAE’s second largest bank by assets, an acquisition outside the country will allow it to achieve its targets of diversifying its revenues and assets internationally. “The acquisition meets our investment criteria of investing in growth markets with a large population and potential for further penetration in the banking sector. Denizbank, being the eighth largest bank and a very strong banking franchise in [Turkey] will provide Emirates NBD with a meaningful share in the country,” the spokesperson said. Analysts agree that the Turkish market does present attractive opportunities on the long-term, despite current hurdles. Aarthi Chandrasekaran, vice president of asset management at Shuaa Capital, said Turkey will be “a challenging market to manoeuvre” in the short term due to risks that include geopolitical tensions, low economic growth, and high inflation. In 2018, the Turkish lira plunged nearly 30 per cent, sending inflation higher and hurting economic growth. The country’s economy saw its worst quarterly contraction in nearly a decade as a result of the currency crisis. That very plunge in the lira has been beneficial to Emirates NBD, though. The bank in early April revised its deal to acquire 99.85 per cent of Denizbank, with the value of the deal now at $2.75 billion instead of the earlier-announced $3.2 billion. In lira terms, the latest figure on the deal is 15.48 billion liras, compared to 14.6 billion liras, but the weaker lira makes the deal less costly for Emirates NBD. On the long-term, economic outlook in Turkey is a different story. Shuaa’s Chandrasekaran said Turkey and Egypt are “the go-to places” for banks in the GCC looking for acquisitions. Emirates NBD already operates in Egypt where it acquired BNP Paribas’ unit in the Arab country. “The Turkish economy has a vibrant, young, and rapidly growing population, and a geographical proximity makes it an attractive market for merger and acquisition transactions for the GCC banks,” she said. Emirates NBD also pointed that besides economic growth, Turkey has strong trade links with the UAE. “There is considerable cross border trade across the whole Middle East, North Africa, and Turkey and South Asia region, and there are few banks with a true presence throughout this region,” the bank’s spokesperson said. The Dubai-listed bank also has operations in Saudi Arabia and Egypt, branches in India, Singapore and the United Kingdom, and representative offices in China and Indonesia.